Fish is so easy and quick to cook that I find I’m cooking more and more of it these days. Salmon is a favorite because it’s flavorful and loaded with healthy fats. All it needs is a bit of lemon and garlic to turn it into a delicious dinner, but sometimes I want something a little more exciting. The recipe below fits the bill. The sweet chili sauce has sugar in it, but you don't need much so it only adds a small amount of carbs to the dish. 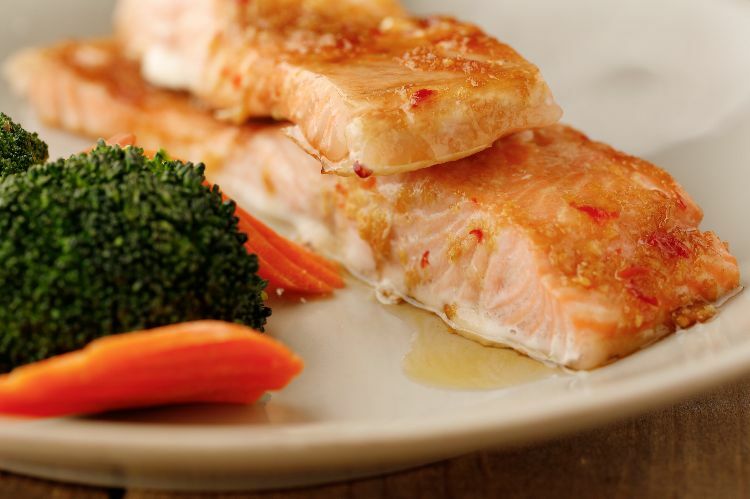 The salmon becomes beautifully glazed with the sauce mixture, which in addition to a kick of chili also has a bright hit of minced fresh ginger. Serve this salmon over cauliflower rice for a quick, low-carb meal. In a small bowl, stir together the soy sauce, chili sauce, ginger and garlic. 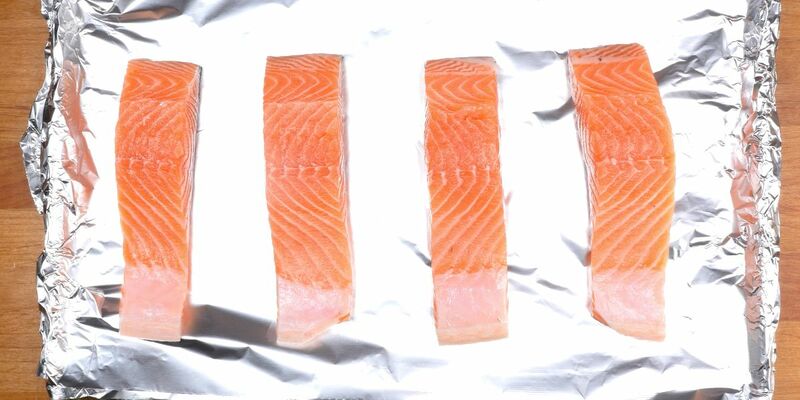 Arrange the salmon fillets on the foil-lined baking sheet and spoon the glaze over the top, dividing equally. Cover with foil, leaving space for heat and steam to circulate. Bake in the oven for 10 to 15 minutes, until the fish flakes easily. Pro tip: Serve immediately, garnished with cilantro.